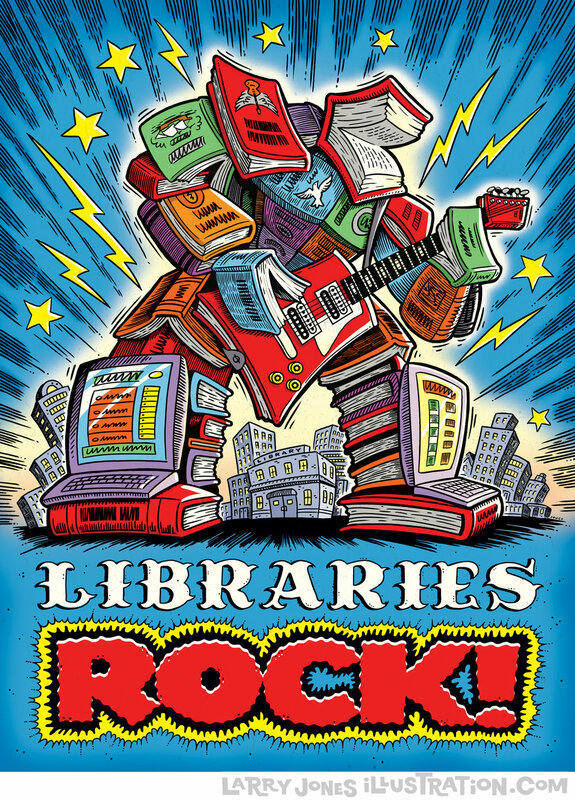 Every year I have the pleasure of creating a series of posters and spots for the Public Library system. One of the reasons this particular job is so much fun is that I get to work in a different style every time! This year's flavor was concocted from a combination of tattoo art influence and a bit of 60s rock album cover art. The nice thing is that this is basically how I doodle all the time anyway! Please take a moment to pop over to my site and check out all the styles I currently work in. I'm still cooking with a lot of pots, which is how I like it! I'd love to cook up something for you!